Because I love free samples (and blogging) Crowdtap sent me a free sample of Cottonelle Fresh Care. I know. Who really wants to discuss what goes on in the bathroom? Well, there might be someone out there looking for a way to feel cleaner. Stranger things have happened…like me moving to Minnesota. OK, that’s not strange, that was true love, but I digress. Think about it. Babies have wipes. Why can’t adults? Why can we be as clean as them? I’ve used other wipes and they didn’t measure up to Cottonelle. They stung where Cottonelle just left me feeling clean. I’m not suggesting throwing out toilet paper altogether. 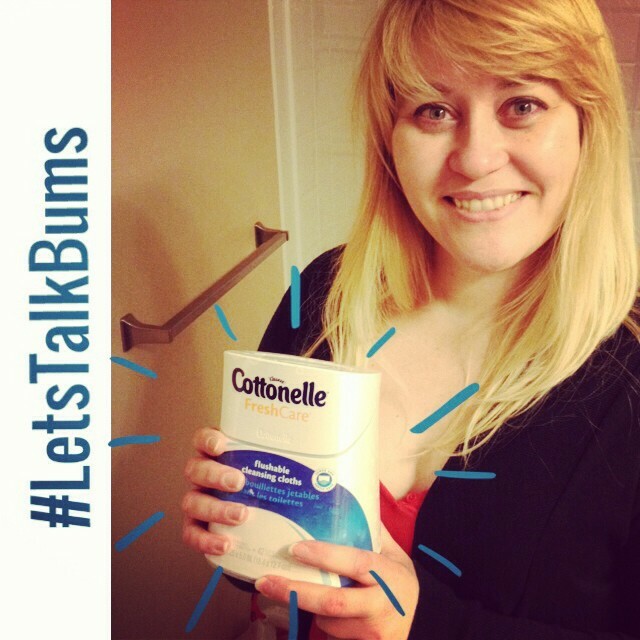 I’m saying, why not try adding wipes to your routine? You might be thinking…but Amy, what about a bidet? Personally, I’ve never used a bidet. I’ve encountered them, but have been a little intimidated. The one I saw had WAY too many buttons and what if I had to reset it? Where is the control-alt-delete?? Too much pressure. I’ll just stick to low tech wipes.